There's a part of Proverbs 31 that we miss, that we skip over while looking at the virtuous woman, it is a message. It is the anointing that appoints a king. That governs a king. It is The anointing that constitutes a virtuous woman, not physical strength or beauty. The anointing destroys the yoke of poverty and every other ailment. The anointing is our calling that God has given us, that truly blesses others and lifts us from the wretchedness of the flesh. 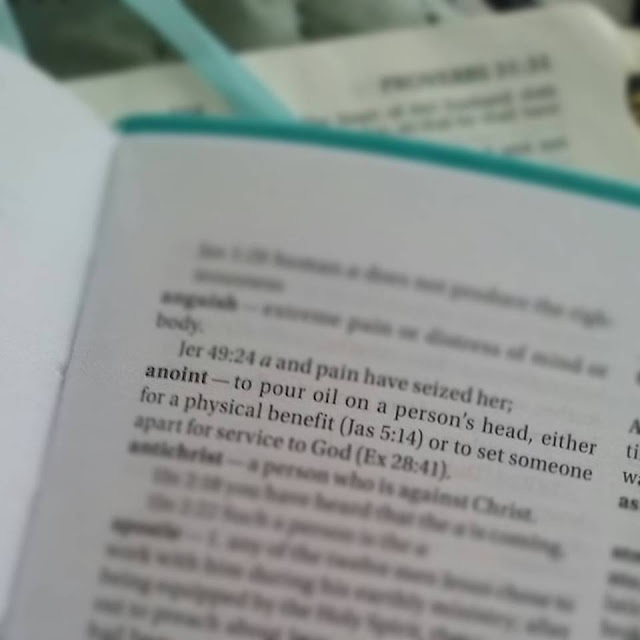 So the base instruction of king Lemuel's mother was to say: honor your anointing. As men and women we each have an anointing, a powerful call from God that makes us stand out. The divine royalty in us-- All of our strength, power, and glory comes from our anointing. We must take it seriously and use it wisely. Seek to know it and study it. We were created for a purpose. Recognize your worth kings, queens, royal priests of God. Why? because like attracts like. The nobility of a king draws a wife of virtuous character and just as well... what we present draws what we collect into our lives. As a good wife is a crown to a husband's head, The anointing is the crown of all of our heads. It is in divine purpose and order that we thrive. Honor the anointing of God for your life first over everything. What a good message. It's the anointing, not the person, that exudes the virtue.